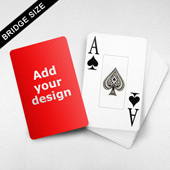 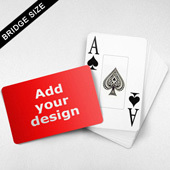 ﻿ Blank playing cards with index only and both sides blank for customization. 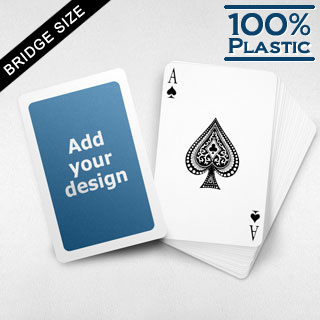 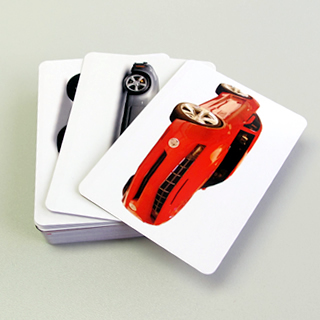 One of the hottest picks of the bridge size series, the slimmed size and milk-white border plastic card adopts the size of standard bridge cards, i.e. 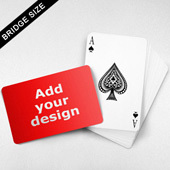 57mm x 89mm. 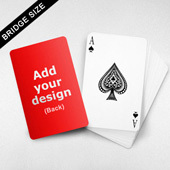 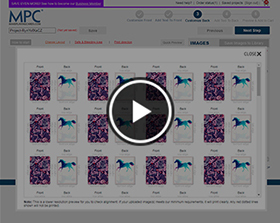 You can insert photo on the card front to customize the pack. 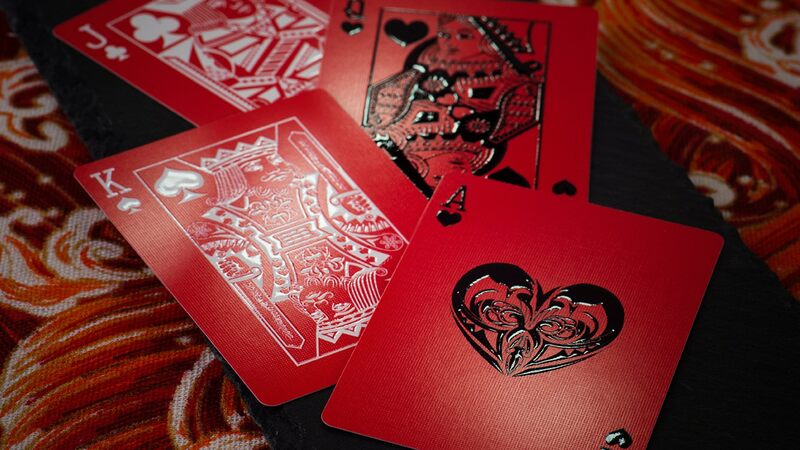 All playing cards are cello-wrapped. 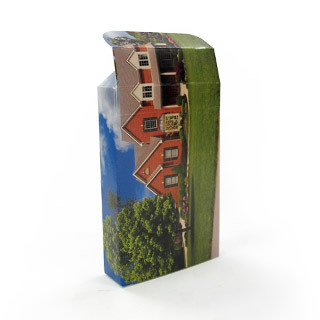 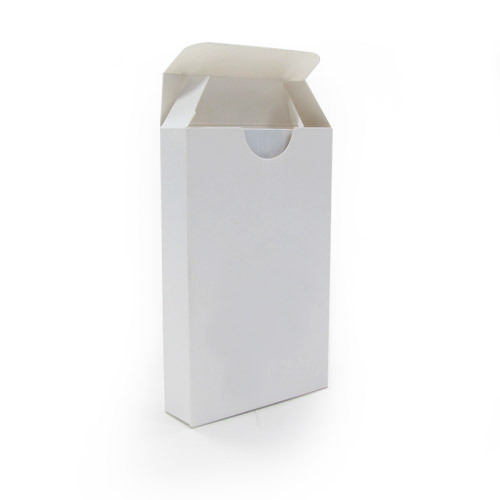 A gamut of packaging including plain white tuck box, window tuck box, printed tuck box and plastic case are available at modest cost.